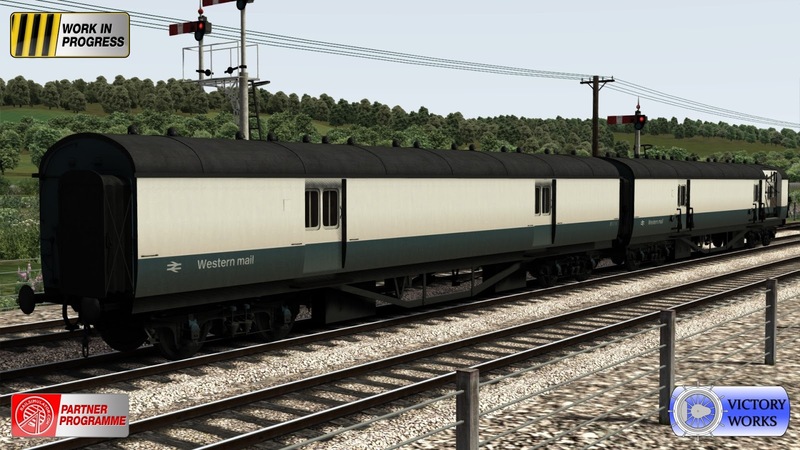 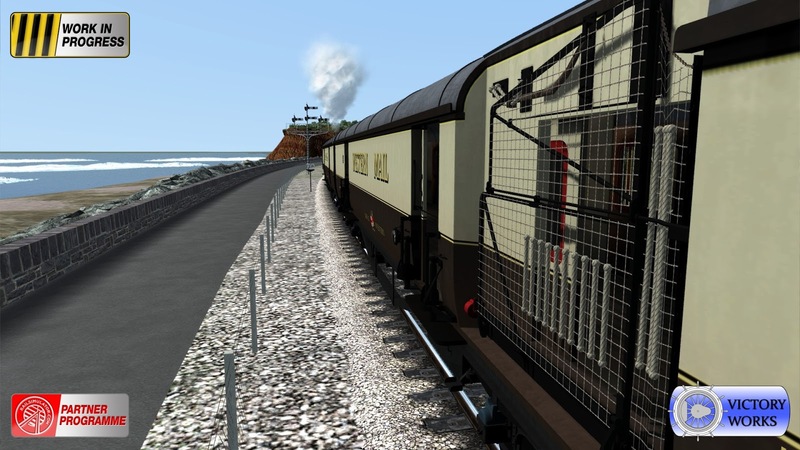 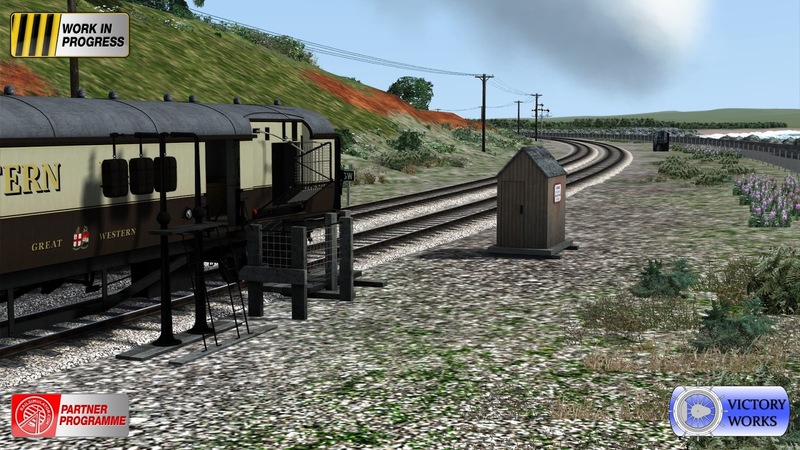 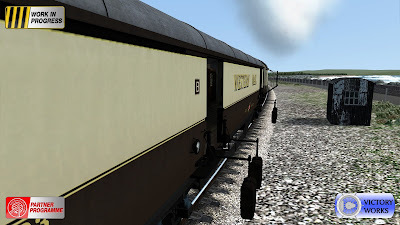 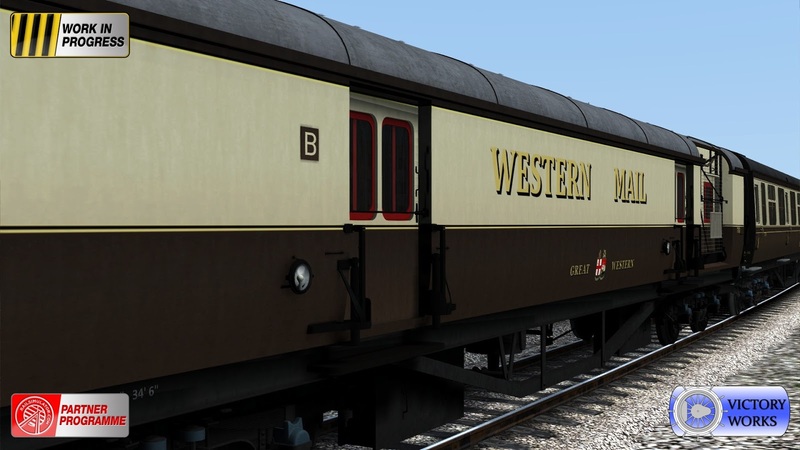 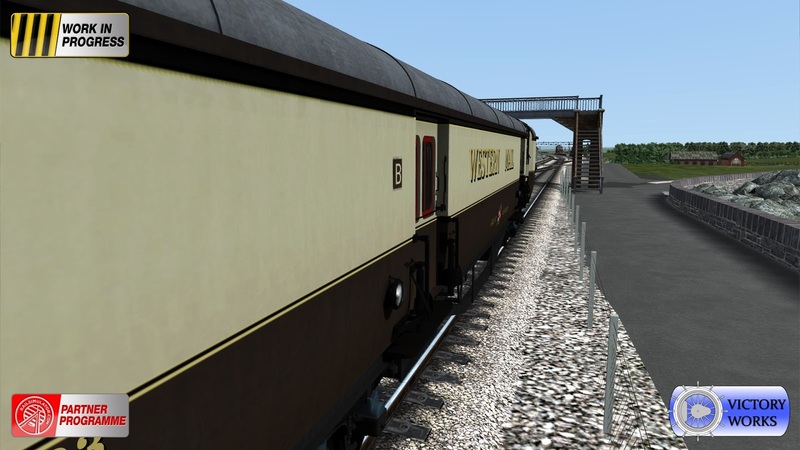 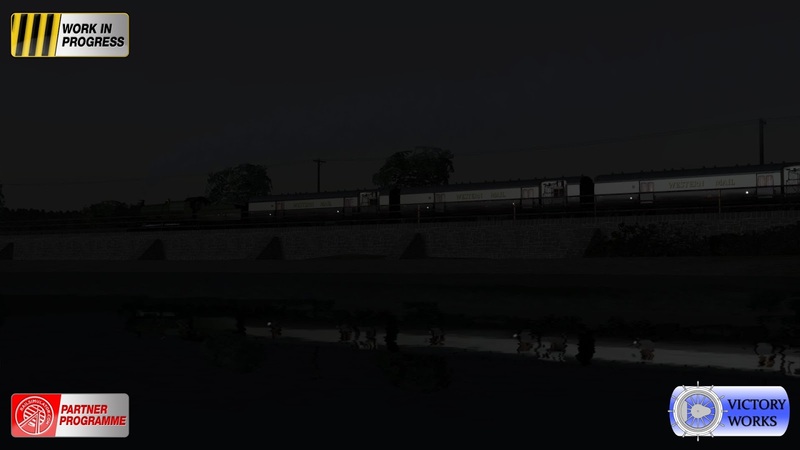 Just before a short summer break we're going to leave you with some work in progress images of an add-on pack that we expect to release to the Train Simulator Marketplace shortly after the release of the GWR Saint and TPO DLC. 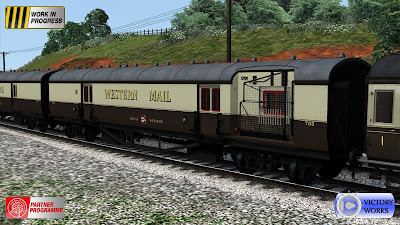 And although they never ran in this livery with the Saint we wanted to provide BR blue versions of the TPO coaches for those who favour a later era. 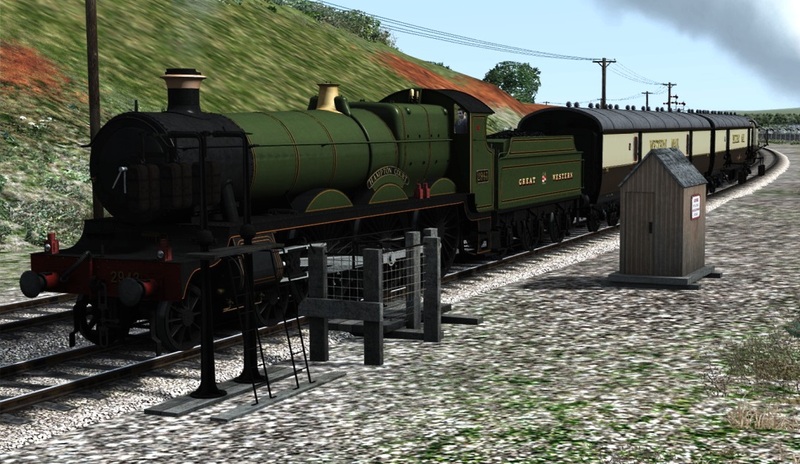 So that completes everything we have to show for the upcoming GWR Saint & TPO DLC and BR liveries add-on. Obviously loaded with the usual "beyond our control" caveats we hope the GWR Saint & TPO will be released before the end of August. We'll be back in a few weeks with some very exciting news about what we're up to next. 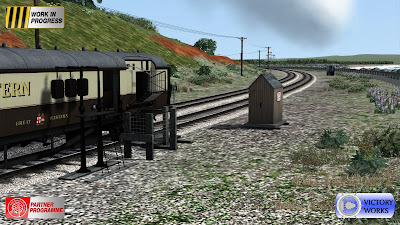 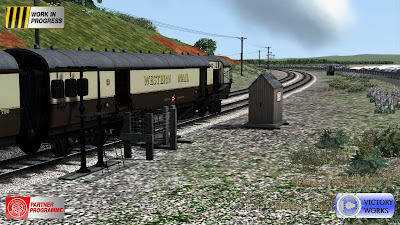 We are very excited after many years of testing and experimentation that the GWR Saint we will be releasing through Steam will be coming with a fully working Travelling Post Office exchange system. 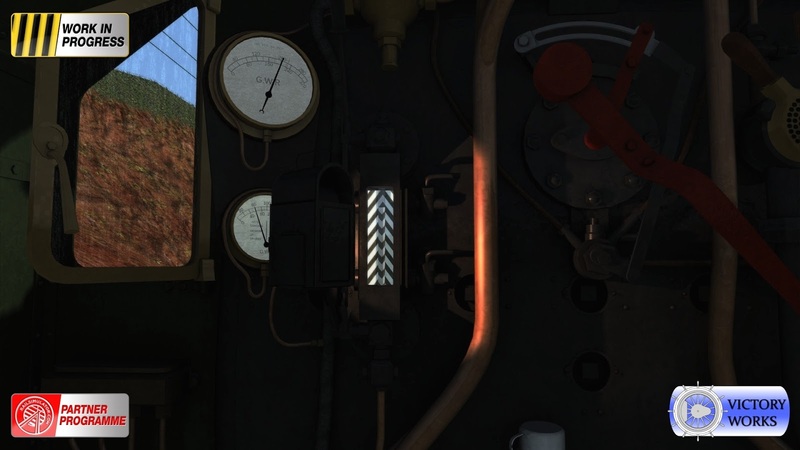 But nothing shows it off quite as well as a video... enjoy! 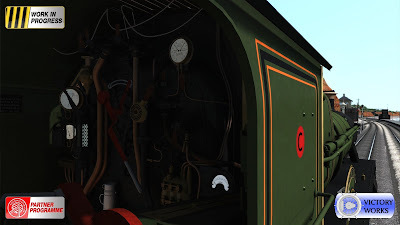 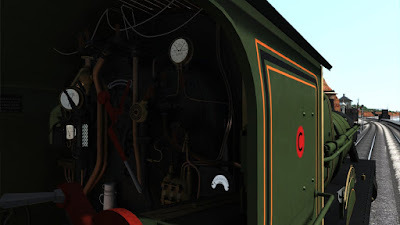 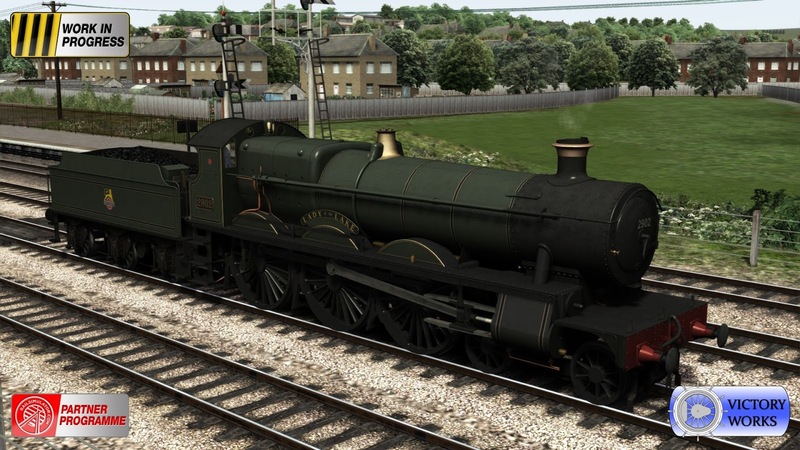 Next time we'll be posting the full feature list of the GWR Saint & TPO add-on and shortly after that we'll reveal the contents of the BR reskin marketplace add-on which should follow soon afterwards. 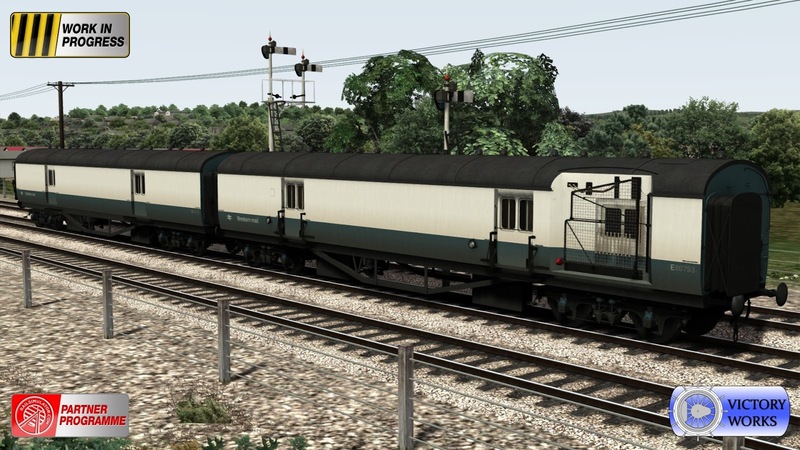 We've got quite a few pictures today so we'll mostly let them speak for themselves. First off, inside the GWR 2900 cab..
Actually this is outside the inside cab, but you get the idea! 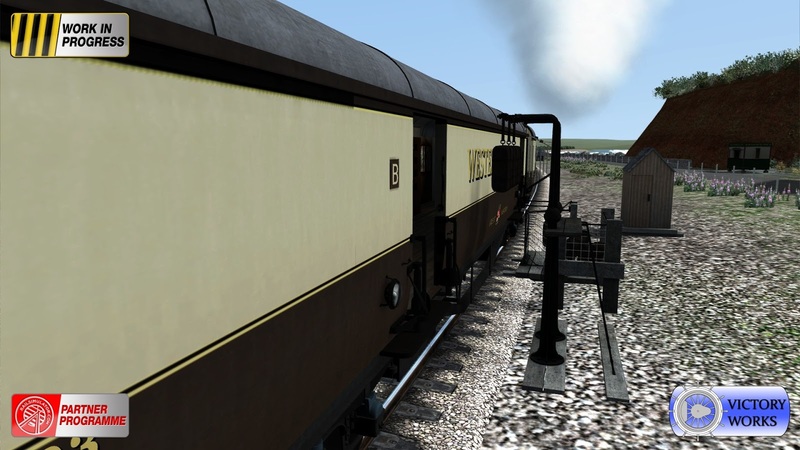 reverser as seen here on the curved frame version of the 2900.
firebox view is available as with all of our locos since the Bullied Q1. 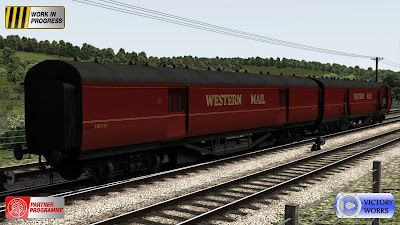 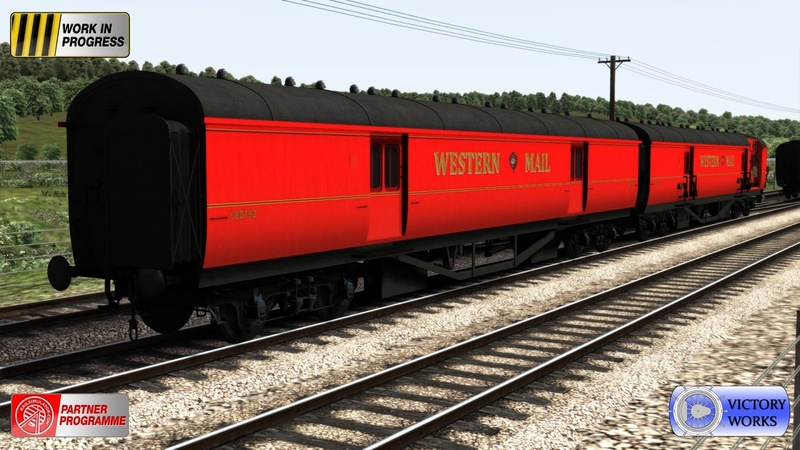 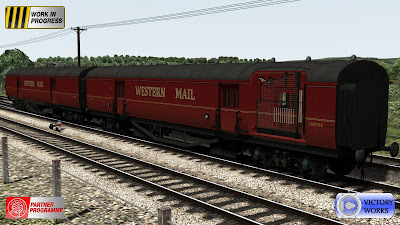 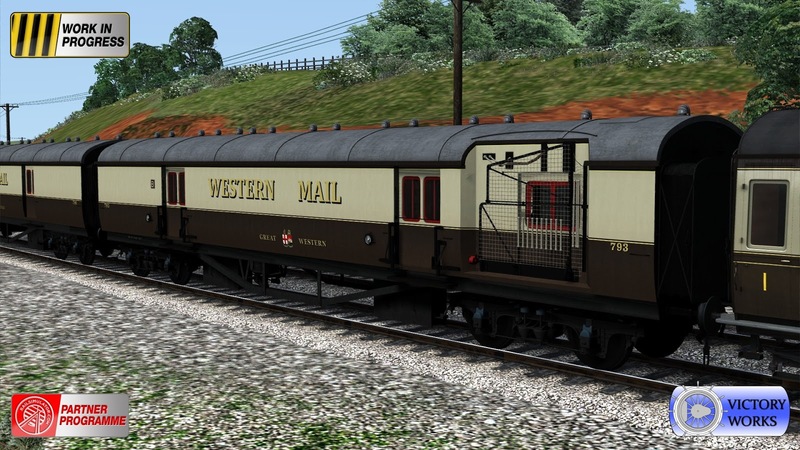 And we are now very pleased to show the GWR Travelling Post Office coach in game as well. 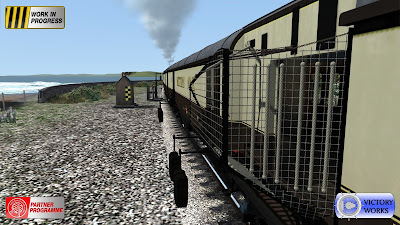 As you can see we will be including a sorting coach along with the baggage coach which is fitted with the exchange apparatus. These come in 3 GWR liveries; 1926-34, 1934-42 and 1924-47 and have selectable coach codes and numbers. They have external views at the front and rear of the baggage coach and the exchange apparatus is fully functional when used with the line side exchange apparatus that will also be included. 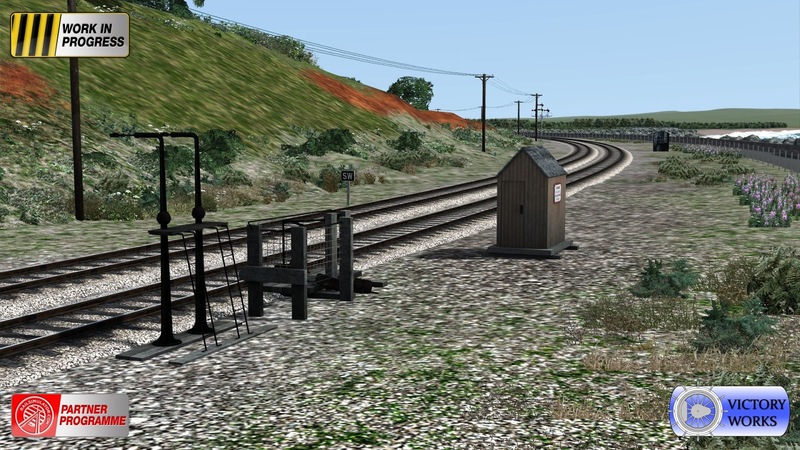 Also included are line side markers that were used to alert the TPO staff that the bags and net should be extended and also exchange apparatus warning boards and a hut which was often built near the apparatus. The Saint and TPO will come with 4 scenarios for the Riviera Line in the Fifties : Exeter to Kingswear route. 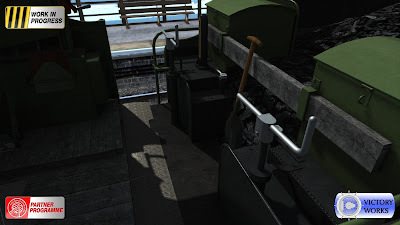 The first is an introduction to the TPO and all of them feature some use of the exchange apparatus. 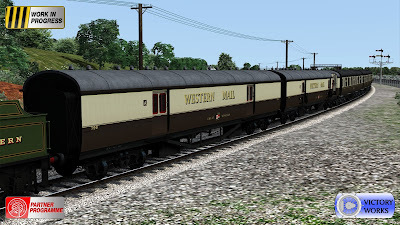 Our plan is to also create a Marketplace add-on which will feature the Saint in BR livery and also the TPO in BR maroon and the much requested BR blue livery. 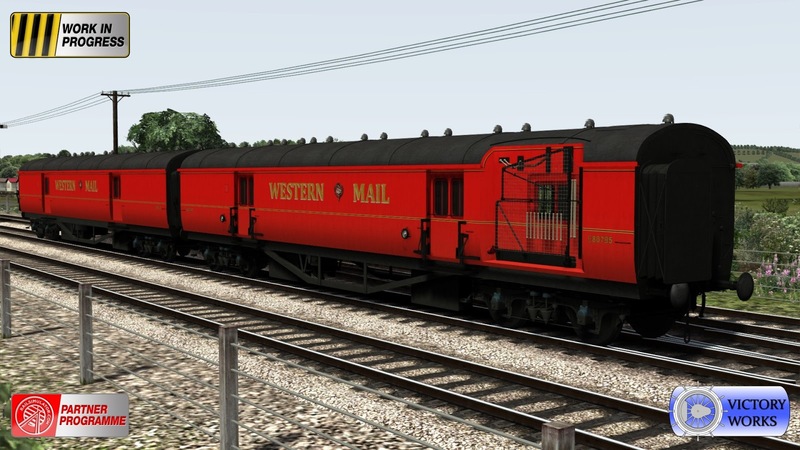 Finally for the technically minded, the TPO apparatus can be placed in any scenario and configured to receive 0 to 4 mail bags and allow collection of 0 to 3 mail bags. 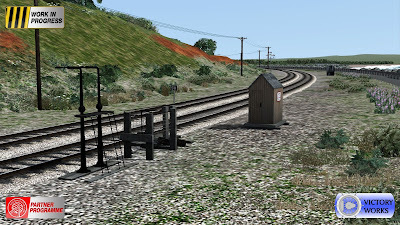 It is placed with 4 track links (like a signal) and aligned with the expected player consist using markers on the TPO coach and the line side apparatus. 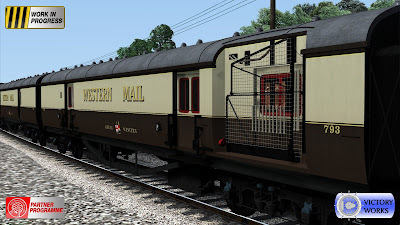 There is also a non-working version with the net retracted and the standards empty and facing the rear which can be placed as static scenery. 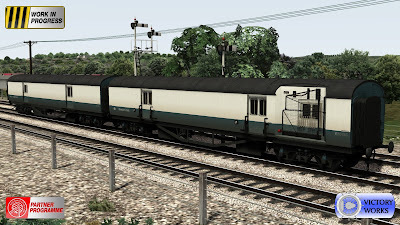 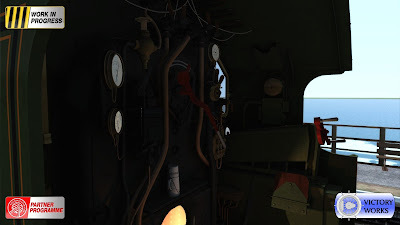 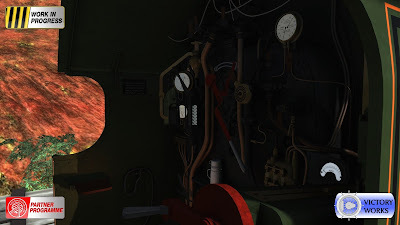 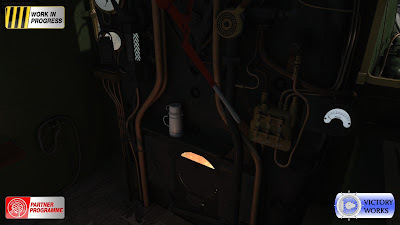 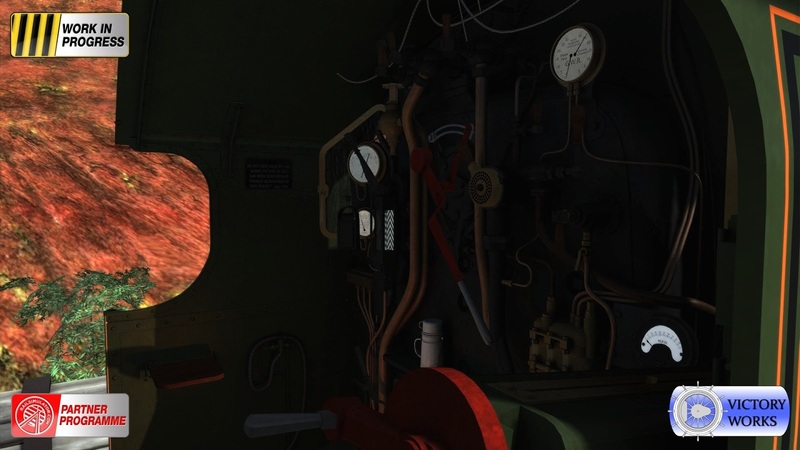 The loco is an integral part of the operation and is therefore required to have some scripting and controls to tell the coach where the apparatus is and we have created a simple add-on script and set of controls that can be added to any TS loco to make it fully compatible with the TPO exchange. 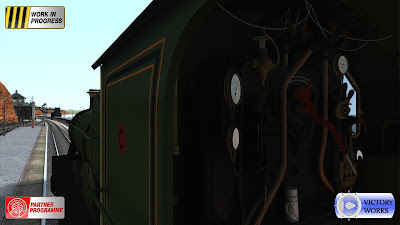 You can use ANY TS stock in the consist and the coach will still work correctly if the leading loco is set up for it. 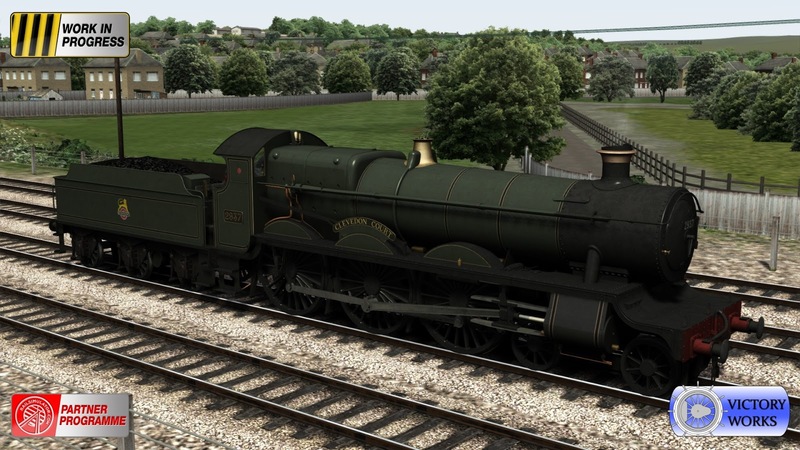 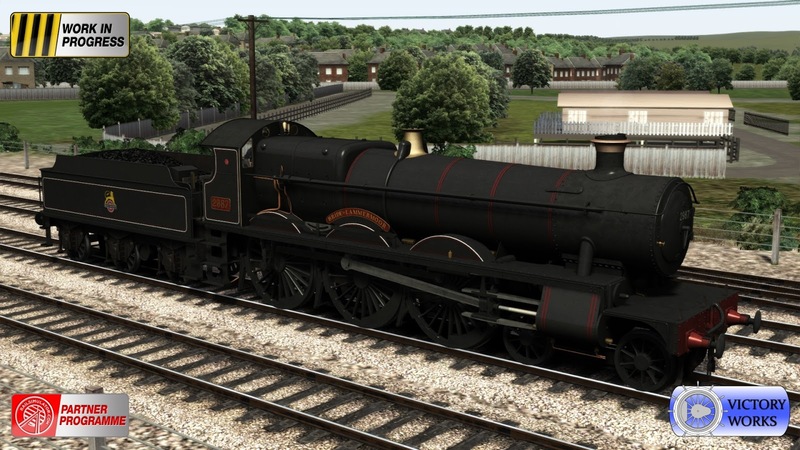 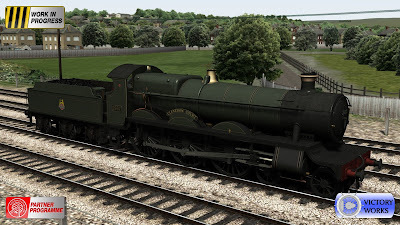 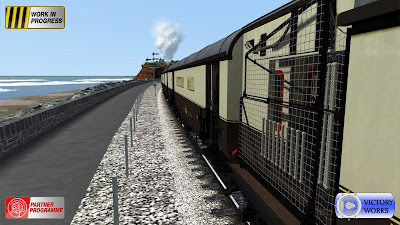 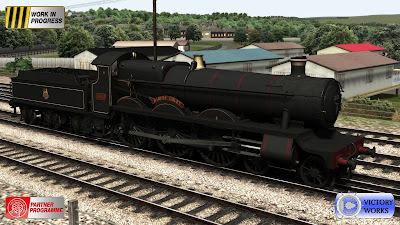 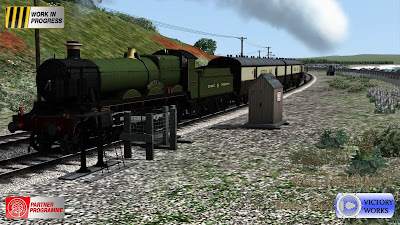 We've already created a small .rwp file (just 182k) which adds this compatibility to all of the tender locos that come with the Exeter Kingswear 1950's route which we will distribute for free when the time comes. The manual will include a full explanation of how to set up the apparatus to perform the exchanges in your own scenarios.